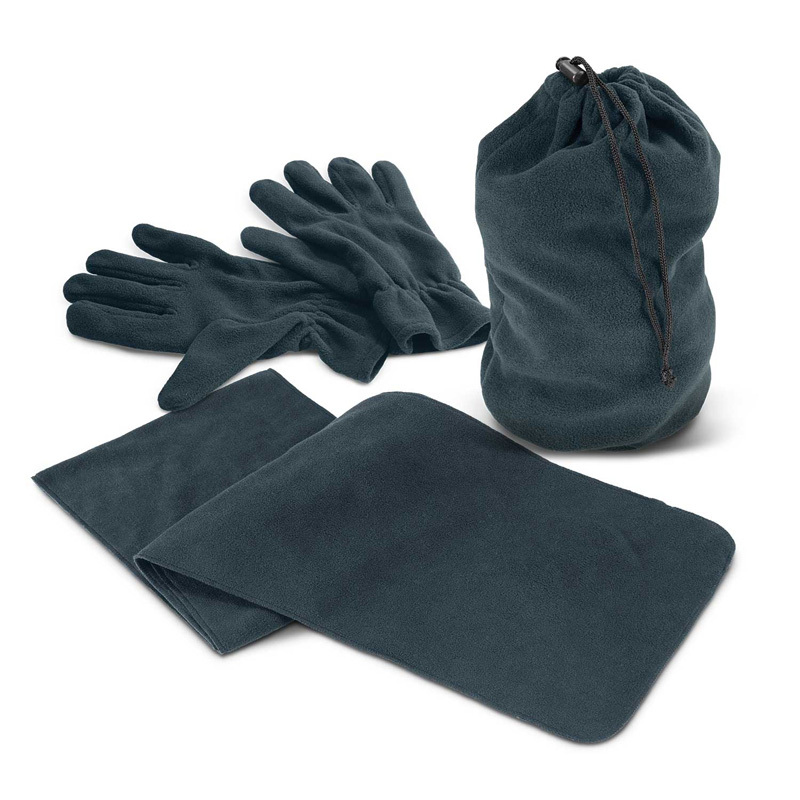 Superb scarf and gloves set which is manufactured from warm, non-pilling polar fleece and presented in a matching drawstring bag. 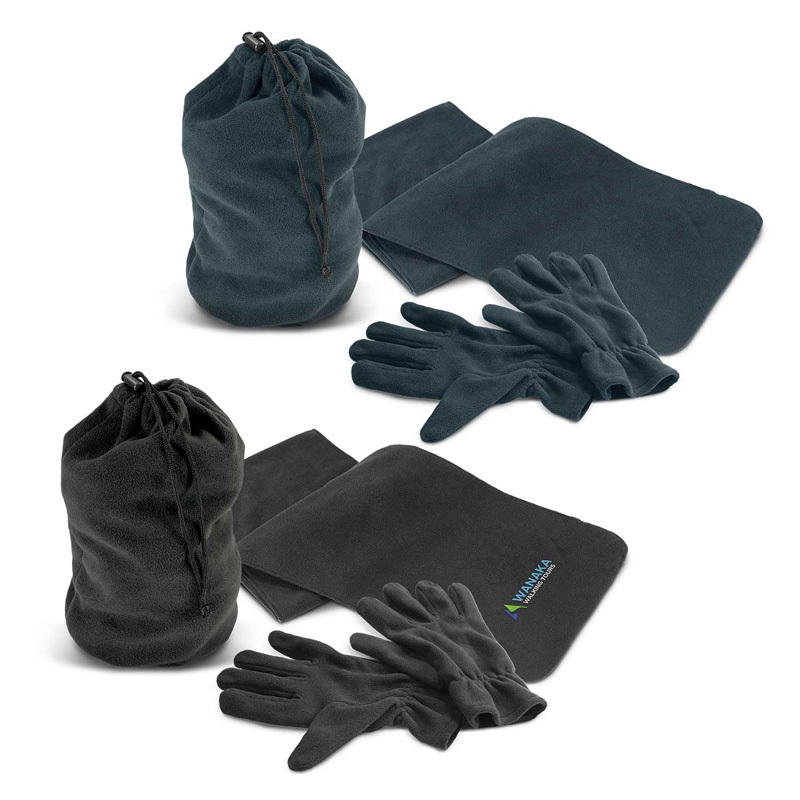 The gloves are available unbranded in two convenient sizes and can be clipped together when not in use. If the logo is the same on the scarf & Bag, only a set up of $75.00 is required.